Shhh. Can you hear that? Your customers are out there, talking to you, telling you what they want you to sell them. But can you hear them, or are you too busy talking? The average adult uses 40,000 words per day, or five hours of continuous talking. Most brands do the same thing—they are never quiet long enough to find out about their customers’ needs, pain points, desires, hopes, or dreams. Traditionally, advertising has encouraged bombarding potential customers with generic messages. Repetition is the name of the game—and while it is true that it may take 7 times of hearing a message before customers will pay attention, the truth of the matter is that they simply don’t care about your product or service. They are too overwhelmed in their daily lives and simply cannot pay attention. What’s worse, because they hear so many competing advertisers shouting at the top of their lungs, each one vying for attention, they have simply tuned everyone out. Marketers will tell you that you must be more focused. By selecting a handful of your existing and most profitable customers, this approach takes a more laser-beam approach to communicating your product, service, or company’s message. It’s true that marketing is more effective, but the problem is that you are still talking over your customers (and sometimes even down to them), and not listening to what they really need. It pays to listen. Some of the ways in which companies and brands can listen—really listen—to their customers is through the use of the following tactics. 1. Observe customers while they are purchasing or using your product or service. Where do they buy it? How do they buy? How are they using it? 2. Observe the other brands that are around your product or service. Certain types of retailers will cluster around each other because their target audiences are similar. What are the messages they are using to communicate? 3. Find out what customers are reading. No matter how niche a market you have, odds are you will find a few magazines that appeal to your target market where you can discover trends that are affecting them, as well as imagery and messaging that appeals to them. These publications already do a great amount of research into your target market, so why not use that to your advantage? 4. Send Surveys to find out what customers think. This can be done with prospective customers to find out what they are really looking for, or as a follow up to a previous purchase in order to find out how you can do better at providing the product or service. 5. Engage a third-party person or company to call and interview current and former customers about their perceptions and experiences using your brand. Their time is valuable, so keep these calls short, and ask no more than 5–6 questions. Open-ended questions will provide insight into their true thoughts, feelings and motivations, as well as spur further discussion. Is it possible to find love at first sight? While a recent Wall Street Journal article debated this topic for couples, there are several parallels between finding love between two people, and finding love between your product or service and its customers. Why should you care if customers fall in love your brand? 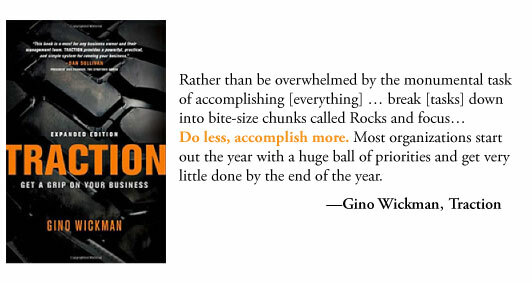 Simply put, it makes your product, service or organization more valuable. According to Kevin Roberts, CEO of Saatchi & Saatchi, in an interview with FastCompany magazine, “You can charge a premium for brands that people love.” If customers know that you provide a quality product backed by exceptional service. 3. You have to feel that the other person likes you. There is no doubt that physical appearance and attraction is an important part of any relationship. Looking handsome and making a good first impression often attract people: in the case of your brand, a sharp looking logo achieves this goal. Ask yourself if your brand looks fresh, modern, and professional. Is it memorable and does it stand out from your competitors? Your brand’s personality is the perception it conveys: its tagline, positioning, and marketing messages all must resonate with customers. Does the brand clearly communicate its core values using a consistent voice and tone? Is your product or service memorable? Love is reciprocal. It is one thing to love someone else, but in order to feel fulfilled, the other person must feel the same way. With brands, customers must feel that you genuinely care about their well being, and that you will be there in the long run. It is imperative that your brand engages in a conversation with your customers. Do you listen to their pain points, desires, hopes and dreams and respond with products or services that meet those needs? In order for customers to love your brand, they have to connect emotionally with it. Empathy for your customers, commitment to solving their needs, as well as the passion to add value to the relationship all promote such a connection. Have you ever wondered why people use sports or other analogies to describe business relationships? Statements such as “getting on the same team” (because we all need to “wear the same uniform”) are commonly heard from managers discussing performance issues with their reports. Baseball analogies such as “keeping your eye on the ball” (and being careful not to drop it!) are often used by Sales and Marketing teams, while they must “swing for the fences” to achieve their goals. Similarly, in business consulting circles, other analogies proliferate. Phrases like “getting the right people on the bus,” having “stretch” goals, and determining whether a new product or service fits within a company’s “wheel house” are often used. The reason analogies are so abundant is because they are effective in helping us understand complex ideas by juxtaposing them with more familiar (and simpler) ones. 4. They form emotional connections with the target market or audience. Relevance is crucial for creating effective analogies that communicate your brand message, or help differentiate your product or service. It is OK to use a sports analogy; however, make sure it is the right sport—you wouldn’t want to reference a Cricket Match in the United States, or else all you would hear from the audience would be just that—crickets (not only a bad pun, but an analogy for “silence” as well!). Free Association thinking. Write down any word or idea that comes to mind when thinking about your brand, including emotions, colors, perceptions, adjectives or phrases; anything and everything is appropriate. After editing this list, create an idea tree using these words or ideas. Create an idea tree. Write down the name of your product, service, or brand within a circle. Branching off of this, use ideas or words generated from the Free Association exercise (see above) and write them down in circles with lines connecting them to the brand. From each of these words, write down, circle, and connect any more words and ideas that are related, and so on. Repeat this process for each word or idea until they become so specific or are no longer relative. Use a dictionary and thesaurus. Word definitions can be very descriptive about the nature of an object or idea. In addition to helping understand terminology used, the dictionary can be used to suggest visual symbols and metaphors that are analogous to the brand. You may use words generated through free association thinking or the idea tree. After defining key words that describe the brand, use a thesaurus to find related words or synonyms. If you have read any of my previous posts, you will agree with me that people are sentimental about brands. That’s because in order for a company, product or service to be effective and relevant, it must connect emotionally with its audience. Brands build trust, they build goodwill and loyalty, and they build memories. One brand that is breaking the hearts of many is Portland International Airport, or PDX as Oregonians refer to it. Why? Because their beloved teal carpet, that is a symbol of the airport and their home, is being torn out and replaced after 20 years of wear and tear. 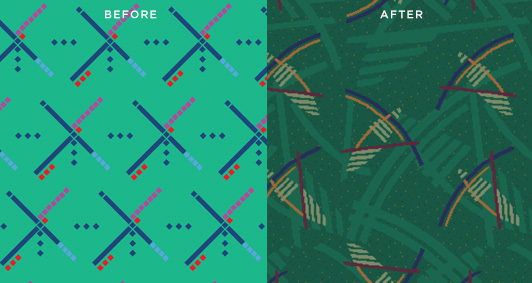 Admittedly, I have visited Portland’s airport a couple of times, and I really didn’t give much thought about the carpet I was treading on. The PDX carpet, however, is different. Primarily teal (hello, 1993! ), it consists of a pattern of dark blue, purple, and red crisscrossed lines that represent the view air traffic controllers would have of the airport’s runways. To Portlanders, this pattern has obtained a cult-like following. According to a recent article in the Wall Street Journal, on Twitter there are over 1,500 followers (of the carpet! ), thousands of pins are posted on Pinterest, and 31,000 photos on Instragram of feet on the carpet. Visit madeinoregon.com and there are dozens of products that pay homage to the iconic carpet, including apparel, home goods, and even beer brands. 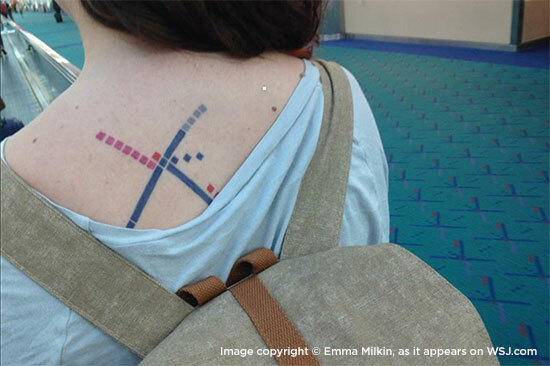 Some residents of the city have gone so far as to permanently ink the pattern on their body. Most people might not think or care much about the carpet they walk on, and this is true of most products or services that we use—generally we take them for granted. The key to creating a memorable brand is to connect emotionally with your audience. Use messaging, graphics and images that tell them a story: one that is relatable, believable, and familiar. A Relatable brand is one that is personable. The target audience understands the brand at a visceral level, including what the product or service is, what it does, and why it matters to them. People should just “get it.” Apple incorporates such an intuitive user experience with every one of its products that it has developed a loyal following of brand advocates. 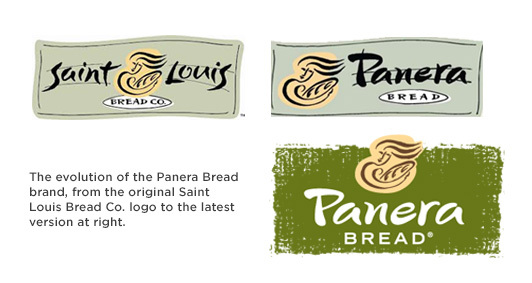 Believable brands are authentic: they don’t try to pretend to be something they’re not. Any claims that your brand makes about solving a need or problem must be backed up by evidence. Using customer testimonials, anecdotes, analogies, or qualitative information (“just the facts, ma’am”) helps make your case. Google and FedEx have been so ingrained in culture that they are now used as verbs: we “google” information on the web and we “FedEx” overnight packages. Familiar brands are those that make us feel comfortable. These brands are loyal to their customers and never let them down. They are nostalgic, throw-backs, or “retro,” in that they reference the past, and often simpler times. They are dependable, and hardly ever change. Whether you are in the Middle East, China, or Europe, Coca-Cola and McDonald’s look and feel the same. 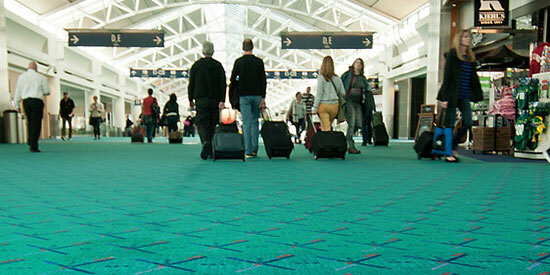 The PDX carpet is an example of a familiar brand. It reminds Portlanders of their home, so much so that it has created a loyal following. So how are you exciting people about your brand, so they will be just as sentimental, and even downright fanatical, about it? In a previous post, I wrote about the importance of constantly creating content for your company, product, or service’s website in order to stay relevant for Google’s search algorithms. If your website has been built on a content management platform such as WordPress, it is relatively easy to keep generating valuable content for your site in the form of blog posts or news articles. Blog posts or content updates to your website should be anywhere from 350–500 words, and occur at least twice per month. While this may seem like a daunting task, or you can’t possibly imagine what to write about, there are a lot of interesting and relevant things that you could share with visitors to your site. The trick is getting it out of your mind. An easy way to get started (if you have never written a blog post or article for a newspaper or trade pub before) is to develop an editorial calendar of topical information that your customers or prospects would like to know. This is essentially a blueprint of the information you can write about throughout the year—one approach that I like to use is to think about the seasons of the year or each fiscal quarter, and the issues, concerns, or observations that occur during these timeframes. Once an editorial calendar of possible topics is created, the next step updating your website with relevant content is to begin writing. Select a topic from your list and then create a Headline or summary statement about it. Develop an outline of subtopics or discussion points, and then fill in the gaps with verbiage that is clear, concise, and doesn’t require a PhD to comprehend it. This is the same process that I used to develop this blog post. Even Hillary Clinton had Ghostwriters. Ghostwriters are professional authors and writers who work with famous people to create memoirs, biographies, or other stories in which that person’s notoriety and fame will help sell a lot of books. This same principle can be applied to writing content for your website. Sometimes a blank sheet of paper or word processor screen is intimidating. Admittedly, not all of us are proficient writers, and we all face “creative block” from time to time. If you dread the idea of writing, or can’t possibly find the time to do so, then it is time to turn to the professionals. For a small fee, you can hire your own ghostwriter who can write blog posts for you. Not only are copywriters trained in journalism (most of the time) and proficient with the English language and appropriate grammar, they can distill the complexities of your product or service into content that is easily understood, using a “voice” that will resonate with your audience. Even though you could probably write your website’s content, the more important question is: should you? As mentioned above, the cost of hiring a copywriter might cost a few hundred dollars for a couple of blog posts per month. How much is your time worth? Chances are it will take you a lot longer to develop your own content, and it might not be as polished or as interesting as it could be. Hiring a copywriter results in engaging, thought-provoking content that is more likely to be read by prospects and customers. What about subject matter knowledge, you might ask? A copywriter couldn’t possibly know all of the ins- and outs- of your business, you might say. While this is true, a copywriter will interview you about your topic, gather any research or information that might be needed, and then deliver to you a professionally crafted blog post or article for your website. Instead of creating something from scratch, all that is required on your part is to take the time to edit what has been written for you and make sure it is factually correct. Updating your website’s content is not as hard as you think. While adding another “to-do” on a seemingly endless list of projects, if you want your brand’s website to be found online through Google search, then it must be done. Whether completed internally or outsourced to a copywriter, content creation is king. Remember when the key to running a successful business was based on the age-old adage that “cash is king?” Over the past couple of years, that concept has been turned on its head, as success for many brands is now determined by Google search rankings—when customers and prospects are able to easily find their products, services, and organizations online—which ultimately drives revenue and profit. In the past year, Google, in an attempt at leveling the playing field of marketing and advertising, has changed its algorithms for displaying search results. It used to be that “optimizing” a website for keyword searches (often by loading the site’s content with those words, having them as metatags within the site code, and using them within page and image titles) was the best way to leap-frog the competition and be displayed higher within search rankings. Not anymore—now to rank higher in Google organic search results, brands must be relevant to what users are searching for. 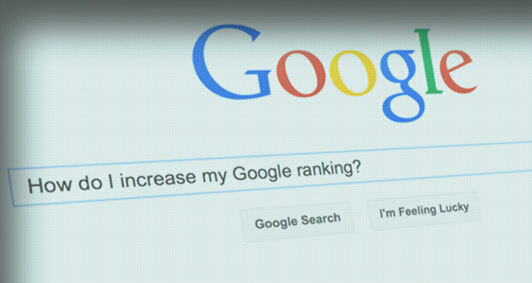 So what does Google look for when ranking websites? In order to be ranked as relevant to searches, Google scans websites for many different factors. Simply using keywords is not enough; now content must be “rich,” link to other sites (and have sites that link to it), and be constantly updated. Rich content includes video, animations, and blog posts; things that are engaging to users and keep them on your site. Linking blog posts from Facebook, Twitter, and LinkedIn, and linking to other content also raise the relevance of your website through the lens of Google’s search algorithms. Updating your website requires posting blogs, articles, or other useful information to your website at least twice per month. Improving user experience across all types of devices is now something that Google is paying particular attention to when ranking websites. In a November 2014 blog post Google made it clear that if websites were not mobile friendly, your search rankings would suffer. What qualifies a site as mobile friendly, or unfriendly? Some of the specific things mentioned in the post include the use of Flash on a website, having to pinch and zoom to view a website, and a lot of small links as being detrimental to the mobile viewing experience. In other words, your website should be built using “responsive” design, meaning that the site will resize to fit the width of a tablet or smartphone, and content will be re-prioritized so that the most relevant information appears first. The days of simply loading up a site with keywords are over. Getting a grip on Google search is not as complicated or mysterious as one may think. It does require diligence in maintaining your website with relevant and “rich” content that engages with your customers and prospects. This may require building the site using a content management platform such as WordPress, or hiring a professional to help ensure it is built responsively for a pleasant user experience on all devices. 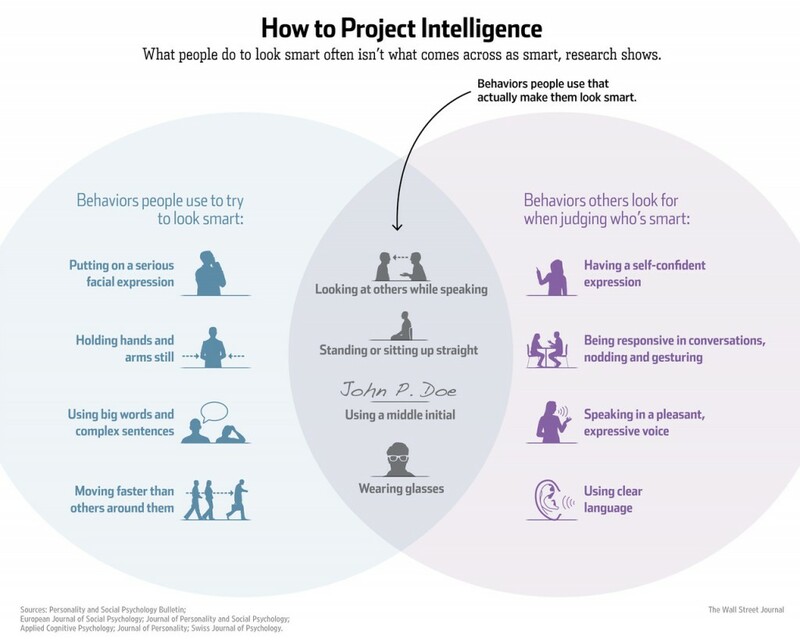 In a recent article titled “You Really Look Smart,” the Wall Street Journal noted behaviors that people use to try and appear intelligent, compared to those traits that research shows actually makes one look smart. Some of the interesting tidbits from the article include the fact that using a middle initial connotes higher intelligence, while using pretentious language (big words and complex sentence) or moving faster than others is off-putting and suggests a lower I.Q. Using clear language, on the other hand, and being responsive in conversations (nodding and gesturing) suggests to others that you are really knowledgeable. While an interesting study in behavior and psychology, I began to wonder how some of these traits could be applied to branding; and what makes a company’s product, service, or organization appear more intelligent and “smart.” I would argue that there are three key characteristics that every brand should have: they should be simple, unique, and memorable. Simplicity is the first key to projecting an intelligent brand image. People must know who you are, what you do, and why it matters to them. Key messaging must clearly convey the core benefits of the brand. To that end, does your product, service, or organization have a name or tagline that tells people what it does or sells? Is the name easy to read, understand, and speak (yes, this is coming from a brand and marketing firm whose name is Indicia)? Uniqueness is what separates your brand. Is there enough differentiation between your product or service and competitors’? Highlight the key benefits of the brand, and how it stands apart from competitors, but don’t stress how “innovative” or “progressive” your solutions are. If using pretentious language or moving faster than others is harmful to people’s impressions of intelligence, then using big words or terminology that requires a Ph.D. to decipher will harm your brand’s perception. Be sure to talk with your customers, not down to them. Memorability is what all brands should strive for. Memorable brands connect emotionally with customers and resonate with them, meaning that they respond to customer needs. These products, services and organizations are constantly asking for feedback, such as how they are doing, what they need to improve upon, and what other products or services customers desire. Much like being engaged and responsive in a conversation is a sign of intelligence, listening and acting upon the needs of customers makes your brand smart. OK Joe’s, Say it ain’t so! Since announcing last month that they are changing their name, there has been a tremendous backlash against the barbecue joint formerly known as Oklahoma Joe’s. The landmark restaurant, with three locations, will now be known as Joe’s Kansas City Bar-B-Que. 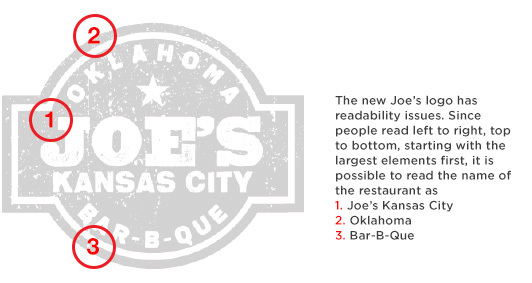 I would offer another, more strategic theory for the name change: they couldn’t own the name “Oklahoma Joe’s.” Having the exclusive right to use that name in other cities, states, and even countries is the first and necessary step toward franchising their restaurant concept. Google Doodles For the Win! 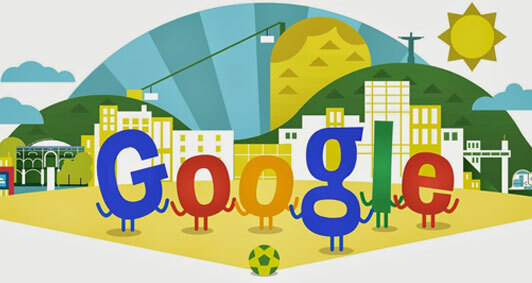 Google joined the rest of the world in celebrating the 2014 FIFA World Cup–in the form of doodles. Throughout the World Cup, Google created 63 Google Doodles, inspired by competing teams and the soccer culture, and showcased them on the Google homepage to the entire world. Google Doodles are the fun changes made to the Google logo to celebrate holidays, events, and individuals. The idea of decorating the company logo to mark events was born in 1998 when Google founders Larry and Sergey included a stick figure within the “o” in the corporate logo to indicate they were “out of the office” attending the Burning Man Festival. Since then, Google Doodles have become so popular that Google has dedicated a team of talented illustrators (or doodlers) and engineers to create doodles to refresh the Google homepage. A group of Googlers gather frequently to brainstorm and decide which events they will commemorate with a doodle. So far the team has created over 2000 doodles for their homepage. For the first time, Google sent some of its best doodlers to Brazil to experience the event first-hand, gaining creative inspiration from their surroundings. The team created doodles in São Paulo each day as the matches were played. Their work environment included an office with whiteboard walls, three flat screen TVs streaming World Cup matches and immediate social media responses, and an array of soccer equipment. While in Brazil, Google Doodle Designer Matthew Cruickshank simplified his complex drawings until he reached his finished doodle image. From there the team illustrated and animated the doodle and finally placed the doodle onto the Google homepage. Clicking on the doodle sent viewers to a landing page with World Cup info, including game schedules and news about each match.